After several hot, stinky and grimy bus rides we rethought our transport plans to Vietnam. 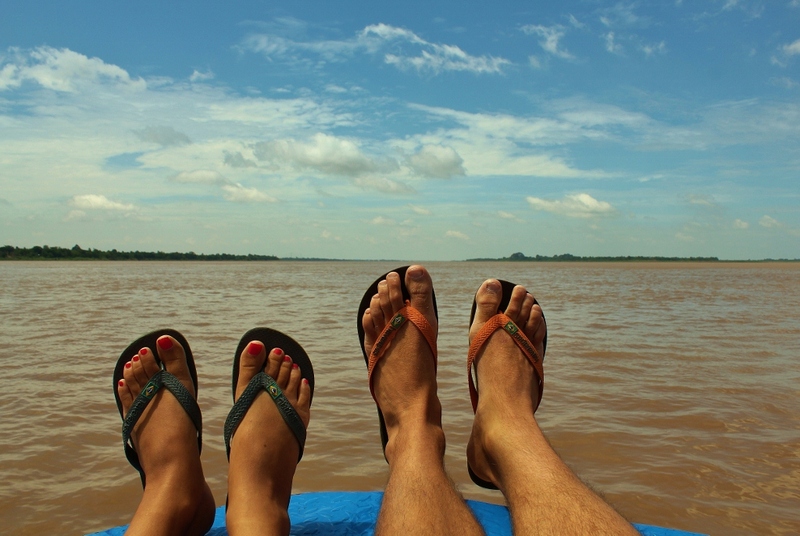 We opted to take a local boat down the “Mighty Mekong” to Chau Doc. The bright blue skies and intense sun made my uniform of boardshorts and tank top the right choice of clothing for the journey. 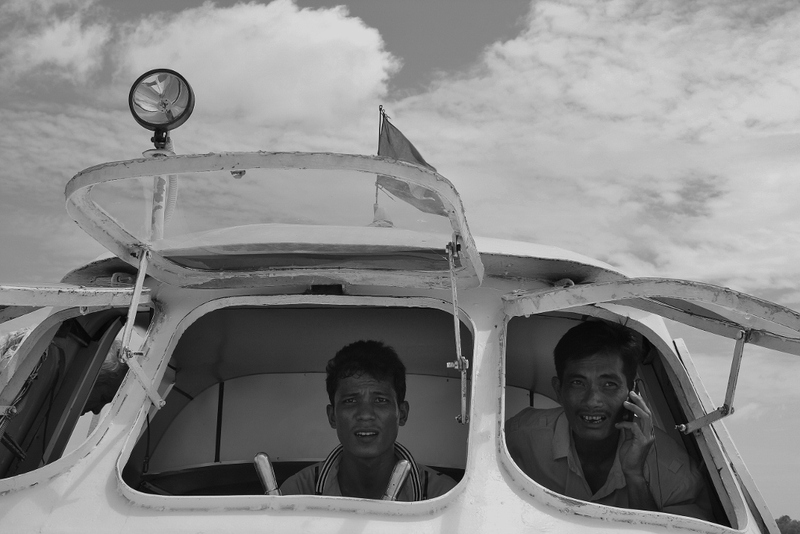 It was a 6 or 7 hour trip and involved a transfer of boats at the Vietnamese border. We passed numerous fisherman and floating villages en route. It was an awe inspiring experience to catch a small glimpse of the daily lives of these people. The border crossing was laughable. 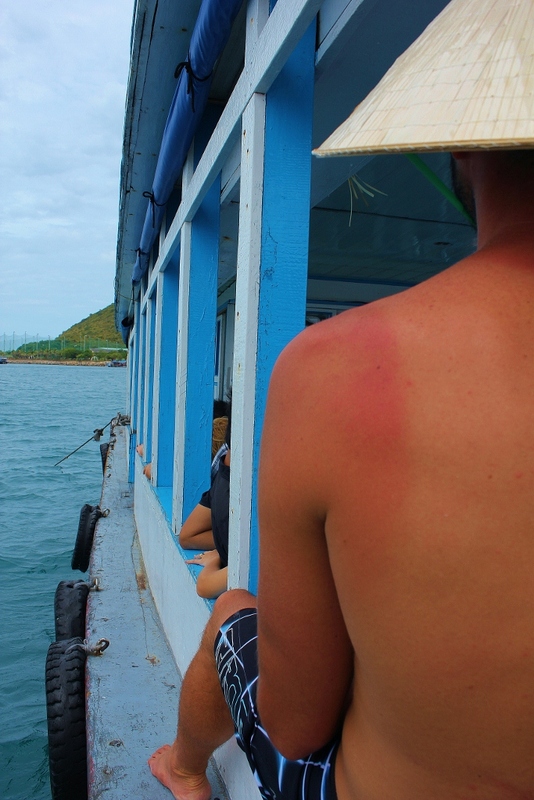 Our boat stopped at a ramshackle wooden dock and we all walked to the border patrol “office”. It was little more than a wooden shack that looked like a fort made by a few 12 year old boys. We continued down river and arrived in Chau Doc just as the sun went down. We checked into a floating hotel in the middle of one of the villages. I took off my tank top to shower and instantly spotted my folly. Nug was right there to rub salt into the wound when I needed aloe instead. She gloated, “I told you to wear sunscreen! It doesn’t even look like you took your tank top off.” Sensing that I was checkmated I sulked off to the shower. My “tank top” was visible for the next week. Just this once you were right Nug. Even a blind chicken finds a kernel of corn once in a while my friend.